Cannabis, with its capability to project the human mind to a different plane, has captured the imagination of different cultures through time. 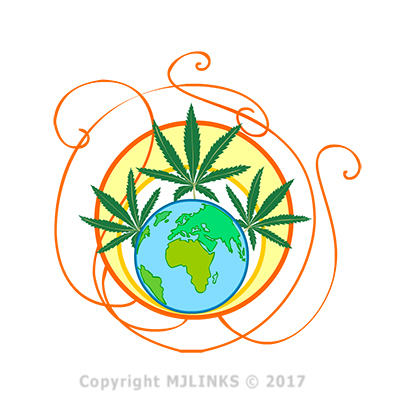 Through its spiritual, medicinal, and recreational properties, Cannabis has made inroads into almost every culture of the world. Historical and mythological connections between these cultures abound, and by examining these connections, we can see how cannabis has remained a common and constant factor in the growth of humanity the world over. One effects of Cannabis is to change the perception of time. Reflecting upon this particular effect from the viewpoint of the early man, Cannabis becomes a divine agent, one that enables one to live a longer, fuller life – as it can help stretch time. With Kaal or “time” being the unchangeable truth, the ancient Hindus considered cannabis divine not only for its medicinal properties, but also because it helped them manipulate time. In this article, I shall try to explore mythological and historical connections between cultures that have traditionally used or consumed cannabis – for one reason or another. 1. Africa – Did Cannabis teach us how to farm? According to Carl Sagan, who was himself a regular user of Marijuana, the transformation of pygmies from hunter-gatherers to farmers was initiated with their attempts to plant hemp. When I imagine their transformation as suggested by Carl Sagan, I see a group of hunter-gatherers carrying away with them a bundle of hemp, which they stored where they temporarily lived. A chance rainfall might have sprouted them, letting them grow. The idea of farming, no doubt must have tickled the early man’s mind, but the motivation that weed may have provided would have been so much stronger. In Egypt, cannabis had a strong spiritual connection. Shem-shem-set was considered to be divine and was used in different funerary ceremonies. The Egyptian Goddess of knowledge, Seshat, is depicted with a cannabis leaf over her head. When I think of how closely life in Ancient Egypt resembled life in the villages of modern India, there remains no doubt in my mind that if the Ancient Egyptians were aware of Cannabis, they would have consumed it, at least ritually. Ancient Egyptians were keen on symbols – symbols that were intricate and complex. Wherever these symbols appeared, they had a strong reason to be there. This leaves no doubt in my mind that combining the symbol of shem-shem-set (cannabis) with Seshat (the goddess of knowledge) must have resulted from the knowledge that Ancient Egyptians possessed of the mind altering and calming properties of cannabis. The Assyrians of Ancient Mesopotamia, which is also known as the cradle of civilization (and now lies in parts of Iran, Syria, and Turkey), used cannabis both for medicinal and recreational purposes. They called it Quanabu, which perhaps resulted in the use of the term Cannabis. As archaeological studies conducted in Indus valley, Mesopotamia, and Egypt indicate, during the ancient times, all these cultures were linked through trade. Even if Quanabu or cannabis wasn’t farmed in Mesopotamia, it could have easily arrived there along with the spices that were shipped from India and China. Herodotus, the great Greek historian, speaks of the funeral rites of Scythians where he tells about their post-burial ritual of inhaling cannabis fumes. He also tells about the Scythians using cannabis in steam baths. In Ancient Greece, cannabis was used as a veterinary medicine to treat the wounds of horses and other animals. In China, some five thousand years ago, Emperor Shen-Nung who, quite like Imhotep of Ancient Egypt was considered to be the father of medicine, loved farming, did some cannabis-experiments upon himself. Among many other conclusions that he drew, was that the female cannabis plant chu-ma was much more potent than its male counter-part. (The feminist in me exclaims, “little surprise there.”) Even before Emperor Shen-Nung’s time, along the Yangshao river, people lived and farmed hemp. They made it into yarn and wove it into cloth, they even made scrolls of hemp, but his work led the Chinese to appreciate the medicinal and recreational properties of cannabis. The Persians called the plant homa (with the sound of “s” not pronounced through a large part of the Indian subcontinent, even today, soma (or bhang or Marijuana) is often called “homa.” In Persia, the dervishes inhale it before they dance. While in today’s world, this connection may appear tenuous, in ancient times, India stretched to current day Afghanistan, which lay just next to Persia. The land then was known as Gandhara Pradesh or the “land of fragrances” for its flowers. Cannabis grows naturally in the Indian sub-continent. Since the whole region that spreads from Greece to India has historically experienced common rulers and common culture, the love for cannabis in the entire middle eastern region doesn’t surprise me. Finally, quite like the Chinese, the Hindu mystics would use cannabis to help them meditate. Medically too, the ancient Hindus used Bhang or cannabis to cure different ailments. Bhang, for the Hindus, is a holy plant for its closely associated with Lord Shiva of the trinity. Even today, on the occasion of Shivaratri (a festival dedicated to Lord Shiva,) Hindus use Bhang. 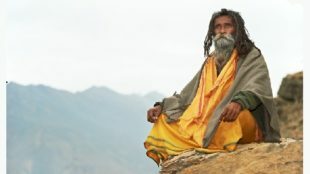 The thought behind it is that bhang would enable them to transcend to a higher spiritual plane and allow their souls to connect with the eternal spirit (Lord Shiva.) Mentioned in the earliest vedas, cannabis was referred to as Soma, and given the status of a minor god, who helped cure illnesses. The status of Soma changed with time, and in the newer vedas, it became a “friend” of Shiva, thus appearing in a recreational avatar. For the past five thousand years, all these cultures have used cannabis to cure diseases, to open the mind to alternative views, and to feel better. For most of these five thousand years, these civilizations had given the world its first and best mathematicians, physicians, scientists, philosophers, writers, and artists. These cultures have transcended the mundane and left us proofs of their intelligence, ingenuity, and creativity – and the proof that they had used Marijuana not only for physical healing, but for spiritual growth and recreation too. In conclusion, I’d like to say that humanity must’ve had its reasons to consider cannabis divine, for in those days, when no other drug was available to them, cannabis treated their troubles – both physical and mental, and offered comfort to people – for nothing.